The second installment of our Legislative Council (Legco) election series takes us to Kowloon East, where three candidates I select from the opposition camp are given an opportunity to make their case to you by answering my five questions. Incidentally, my top picks in Kowloon East all share the same last name: Tam (none of them is related to each other). They are Frontier’s Mandy Tam Heung-man 譚香文 (candidate #4), Civic Party’s Jeremy Tam Man-ho 譚文豪 (candidate #9) and People Power’s “Fast Beat” Tam Tak-chi 快必譚得志 (candidate #12). 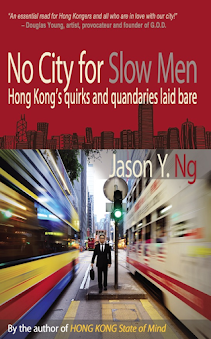 Read Part 1 - Hong Kong Island, Part 3 - Kowloon West, Part 4 - New Territories East and Part 5 - Kowloon West. Voters heading to the polling station this September 4th will find a longer ballot than they did in any previous Legislative Council (Legco) elections. In the Kowloon West district, for instance, the number of candidates went from nine in 2012 to 15 this time around. Choosing from a dozen or so candidates in any given district, all sporting the same deep gaze and promising a better future for Hong Kong, can be a dizzying proposition. Meanwhile, the latest poll numbers from the University of Hong Kong Public Opinion Program put the opposition candidates significantly behind their pro-Beijing rivals. In the New Territories East district, one of the fiercest battlegrounds, the pan-democrats may win only one of the nine available seats. These men and women – our defenders – need all the help they can get on election day. Zhongxiao, Who Has Abandoned You? 中校，你被誰拋棄? Last week, a Shenzhen district court sentenced Wang Jianmin (王健民), the 62-year-old publisher of Hong Kong-based political tabloids Multiple Face (《臉譜》) and New Way Monthly (《新維月刊》), to five years and three months in prison. His editor-in-chief, 41-year-old Guo Zhongxiao (咼中校), received two years and three months. Their crime? Selling magazines on the mainland without state approval. 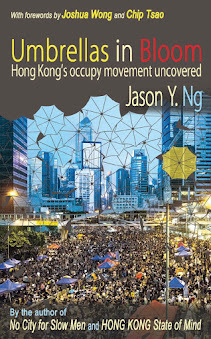 The sentencing of the two Hong Kong journalists drew immediate comparison to the abduction of the five booksellers earlier this year. Events that would have been dismissed as isolated incidents now look increasingly like a pattern. They form part of a broader context in which these and future crackdowns on the city’s press freedom must be analyzed. Yet, did we let the jailed journalists’ domicile temper our public outrage?